Working as a consultant to the design profession demands a broad understanding not just of the complexities of practice, but of the economic, social and cultural context in which clients practice. Whether on my own, in collaboration with colleagues, or as part of the wider platforms of professional societies or the academy, continuous exploration of building typologies, changing marketing approaches and emerging trends, inform the work that at every level. New Voodou researches and reports on a range of urban issues including architecture, infrastructure, and public space. Firm culture lives at the intersection of practice and broader social influences that affect the profession. Working with firms to understand and strengthen their culture is one of the most rewarding parts of my own practice. A powerful culture increases engagement, encourages innovation, and teamwork. It creates an unfair advantage. What is working in communities large and small across the country are cultural and entertainment districts—well-recognized, compact, mixed-use districts in which a high concentration of cultural and/or entertainment venues creates multiple attractions within a defined destination. First, and perhaps most importantly, we knew what mattered. Team, innovation, design, process. The values were articulated in a dozen different ways. The people you worked for and with could tell you. Books by and about the firm made it clear. There was a special genius in the rituals and artifacts created or adopted. A few years ago, GQ called Abbot Kinney "the coolest block in America." Not so many years before Venice Beach locals strolled the street in T-shirts proclaiming the neighborhood a place “where art meets crime.” What were the changes that local citizens and merchants undertook to transform blocks of the street over time? And how has the success of Abbot Kinney helped to revitalize two other Venice shopping streets—Rose Avenue and Lincoln Boulevard? I took a closer look with NBBJ's Rick Poulos for Midge McCauley and her team from Downtown Works. 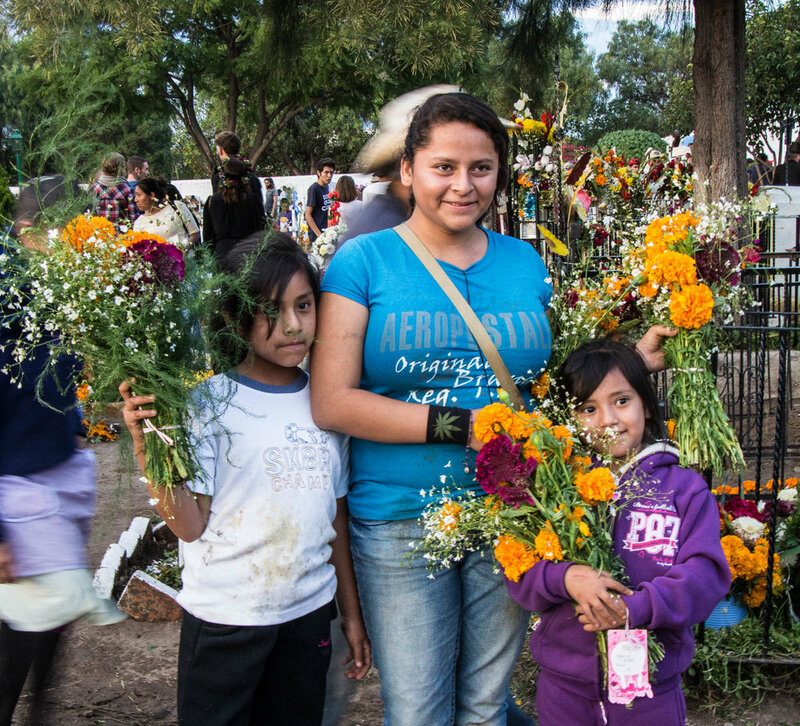 Entire families approach the graves, their arms overflowing with flowers: roses, chrysanthemums, cockscomb, marigolds, marigolds and more marigolds—cempasuchil, the flower of the dead.